Please sign up to attend our latest support opportunity MyTime Scotland which is being offered to children and young people aged between 8-18 years affected by imprisonment in Scotland. 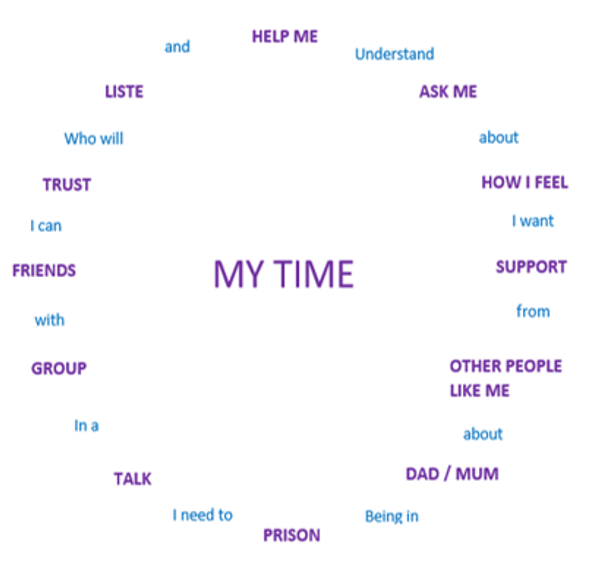 MyTime Scotland is a peer led support group offering support to children and young people who have a family member in prison. The group will be based in the community and is for all children and young people whether they have regular contact with their family member in prison, or no contact at all. If you know of any children or young people who are affected by imprisonment and would be interested in coming to our Peer Support Group please share the MyTime group details and contact me to make a referral. If you know of any children or young people who are unable to come to the group but would still like support please contact us to discuss this further. Tracey Burns, Group Work & Peer Support Manager.